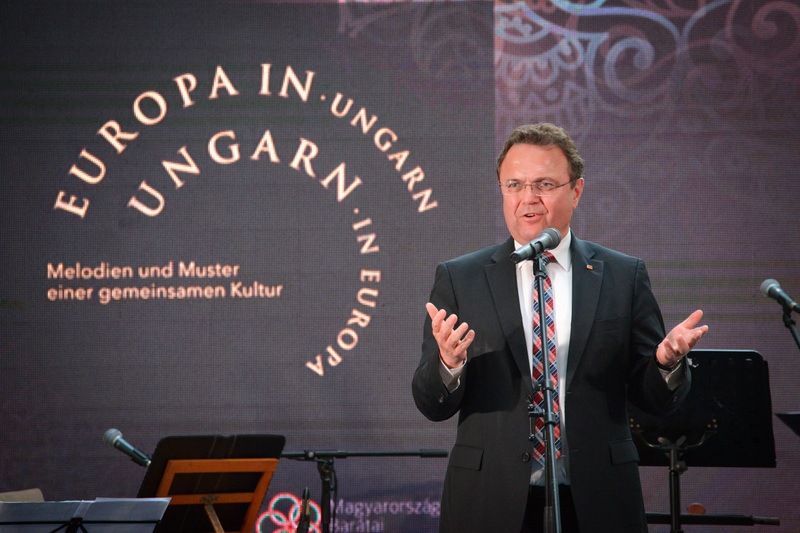 With the event, the organisers intended to present through art and culture that the Hungarian culture is incomprehensible without knowledge of the reality that Hungary belongs to the European Community. 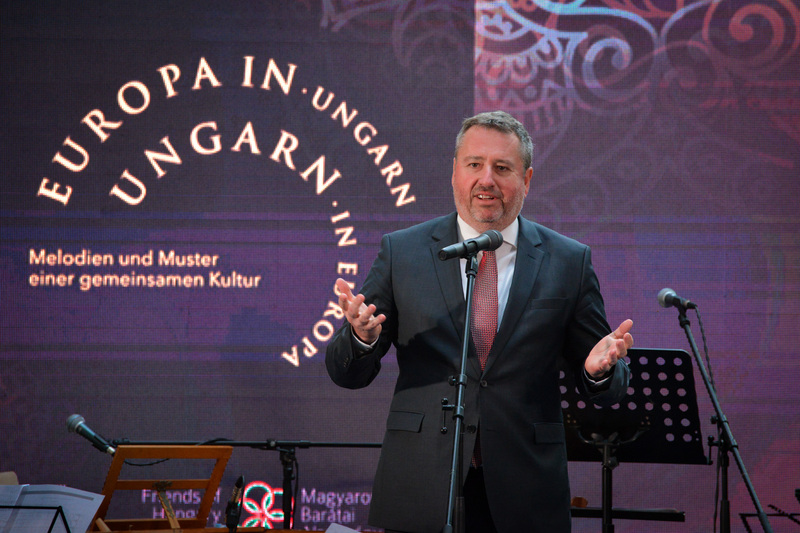 Accordingly, 23 Hungarian artist performed during the event, among them famous singer Veronika Harcsa and fashion designer Melinda Molnár-Madarász, whose brand Meyke uses features and diversity of the Hungarian folklore’s distinct landscape. 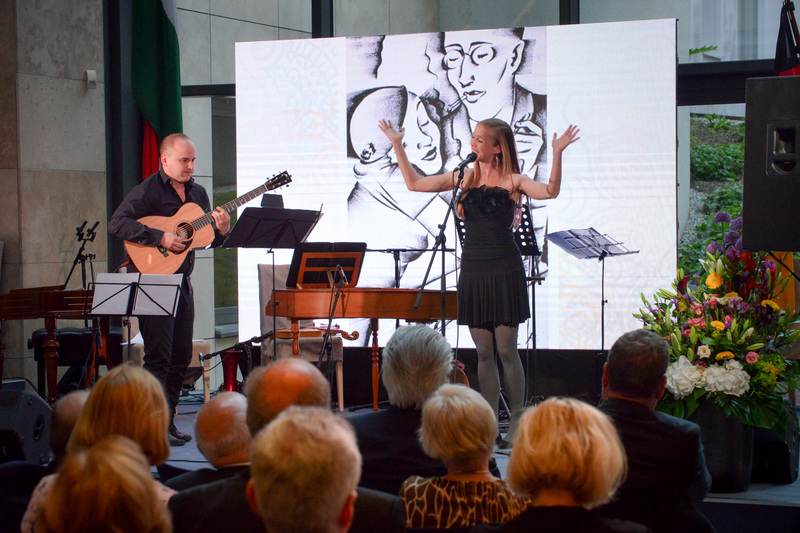 Likewise, musician Márta Sebestyén and her band showed the parallels and impact of Italian renaissance, German baroque and romance in Hungarian folk music. 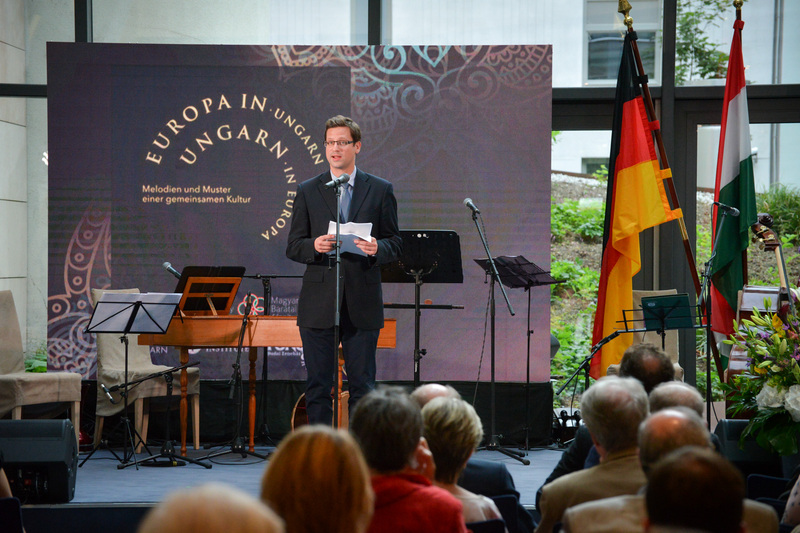 The opening ceremony involved speeches from high-profile politicians as well, such as the minister-elect to head the PM’s Office, Gergely Gulyás, and Vice President of the German Parliament Hans-Peter Friedrich, a politician of the Bavarian Christian Social Union (CSU). According to the latter, the tone and attitude towards refugees and migration has considerably changed in the Bundestag. He claimed that his country’s position has significantly neared “reality” and thus Hungary’s position since 2015. He also claimed that, since the beginning of the migration crisis, the Hungarian government has acknowledged and fulfilled its duty to protect Europe’s borders, while due to political reasons Germany overrode such legal regulations. He claimed that this was a mistake, and has since been corrected. 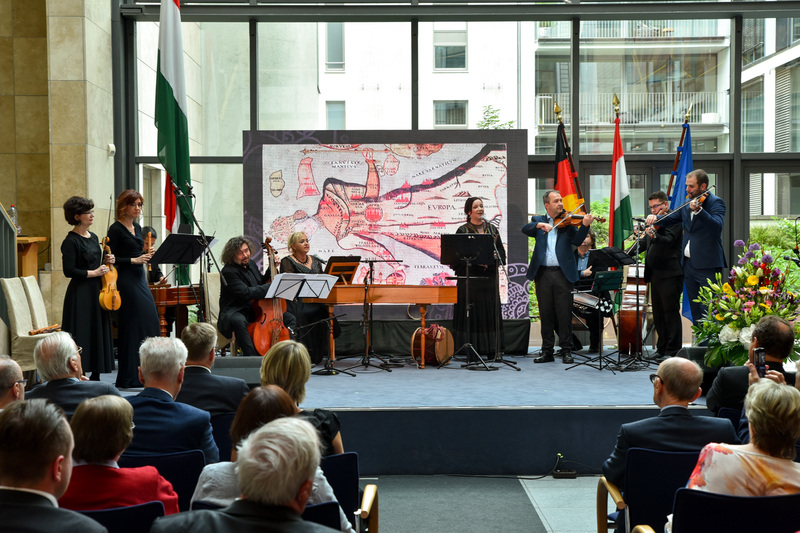 Germany has clearly turned its migration policy around and the difference between the positions of the Hungarian and German governments “is not as big as it was before”, Gulyás said. “The only thing we now have to find common ground on is that our rejection of all types of mandatory redistribution schemes is ethically -and because of the observance of the Schengen rules and the Lisbon Treaty- legally warranted,” Gergely Gulyás told public media. “We disagree on the terms of the mandatory redistribution [of migrants], but this is not a disagreement based on principle but rather one that stems from the differences in our circumstances,” Gulyás claimed. He also argued that Germany had acted quite irresponsibly in 2015 by taking in more than one million migrants. “Now it wants to share the consequences of that decision with others,” he said. Hungary disagrees with this goal, but the two countries do agree, however, that the European Union’s external borders must be protected, Gulyás claimed. “Unfortunately we cannot yet see if any sanctions would be imposed on countries that fail to fulfil this duty,” he added. 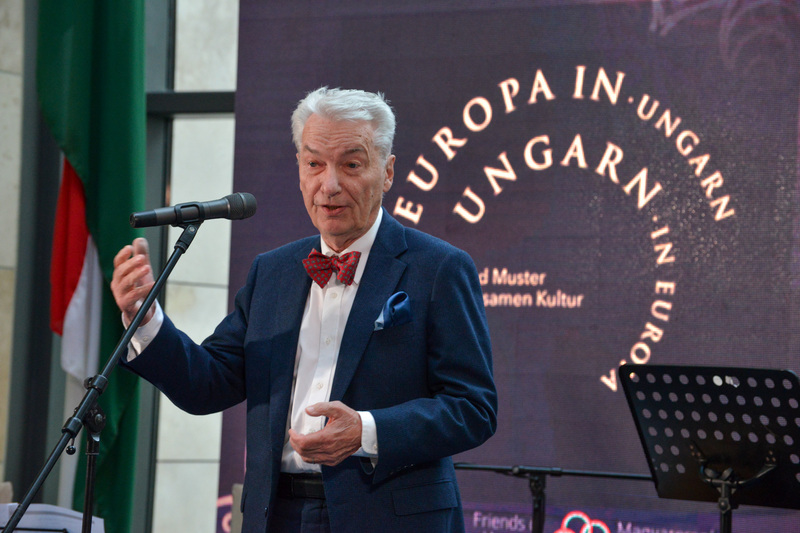 Former President of the Academy of Sciences and president of the board of trustees of Friends of Hungary Foundation E. Sylvester Vizi said that the key to Europe’s success is diversity, which has to be secured, as this is the only way the people of Europe can preserve their identity. He claimed that Hungary has many friends in Germany, and that this friendship goes back in time, citing the 18th century as an example when “from the poor Germany, many came to settle in prosperous Hungary”. He added that he is convinced that disagreements can be and would be overcome if we build on culture, as culture is everyone’s common language.